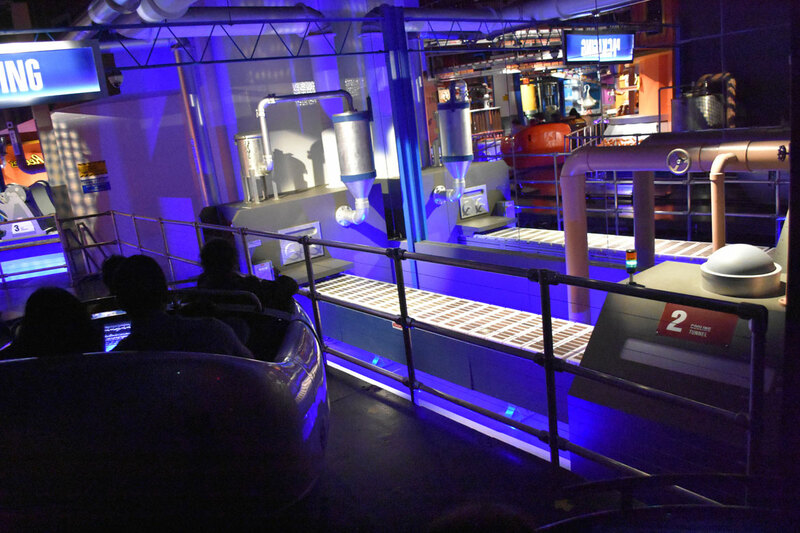 Is it a roller coaster? 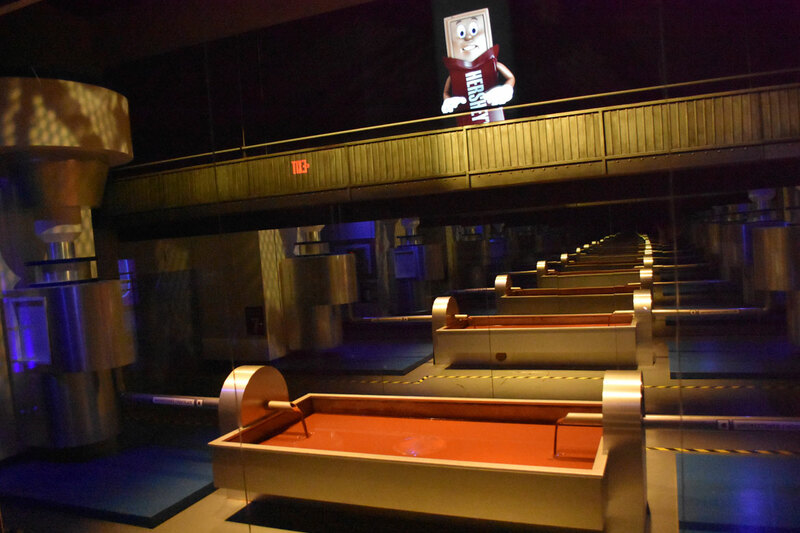 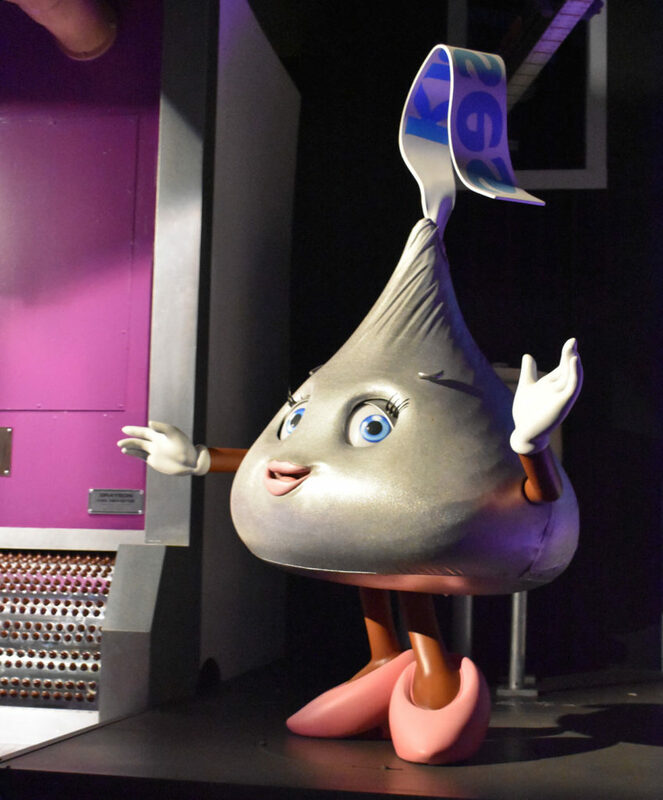 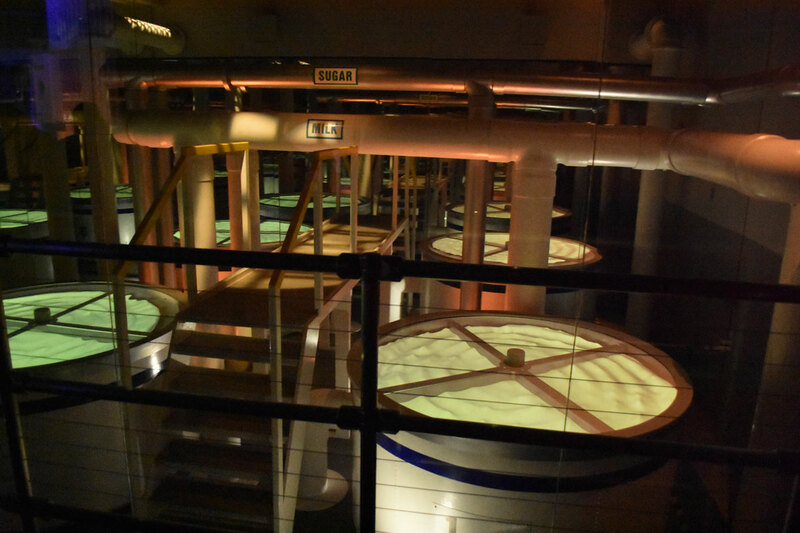 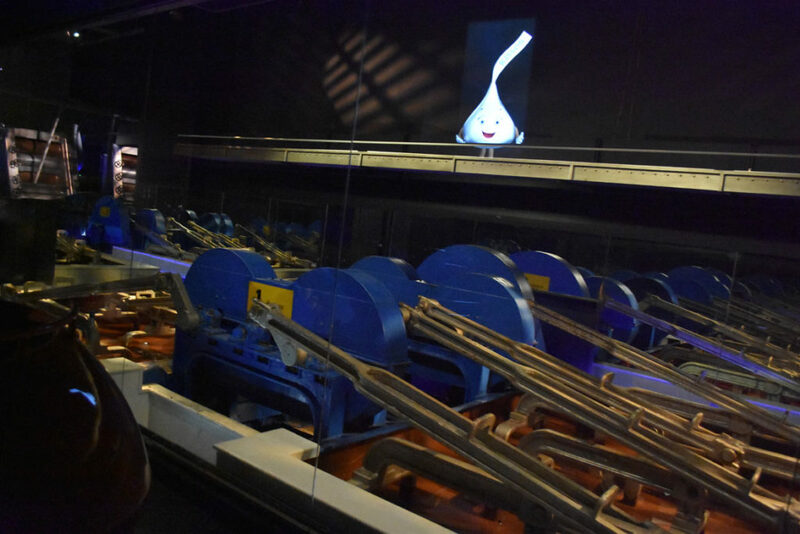 “No,” replies the patient ride attendant at the free, 30-minute “Hershey’s Chocolate Tour” at Hershey’s Chocolate World in the company town of Hershey, Pennsylvania. 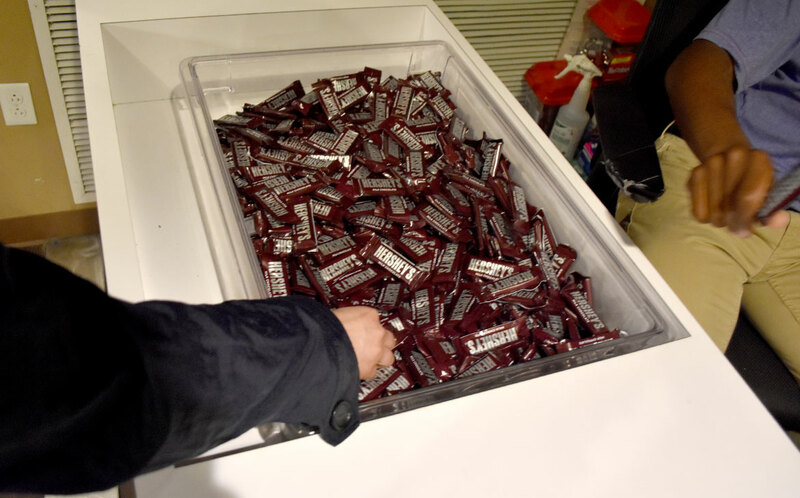 Is there a river of chocolate? “Yes,” she says. Which is true in matter of speaking, but not quite in the Willy Wonka way I dreamed. 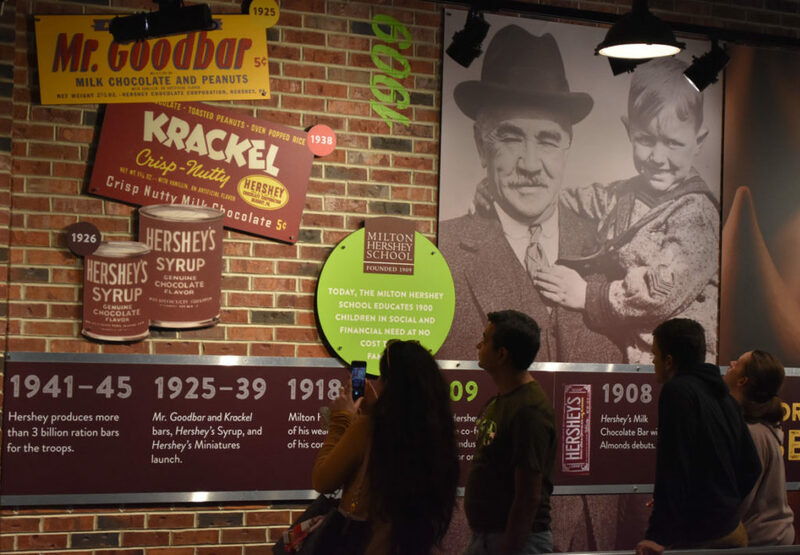 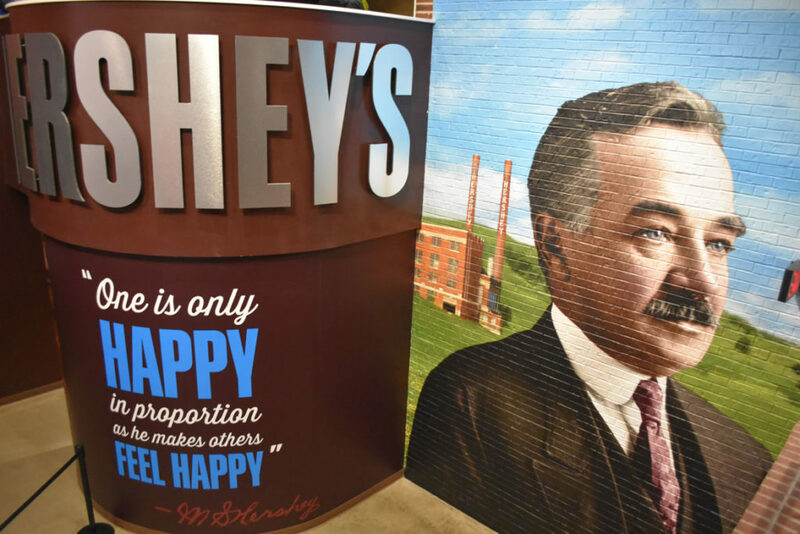 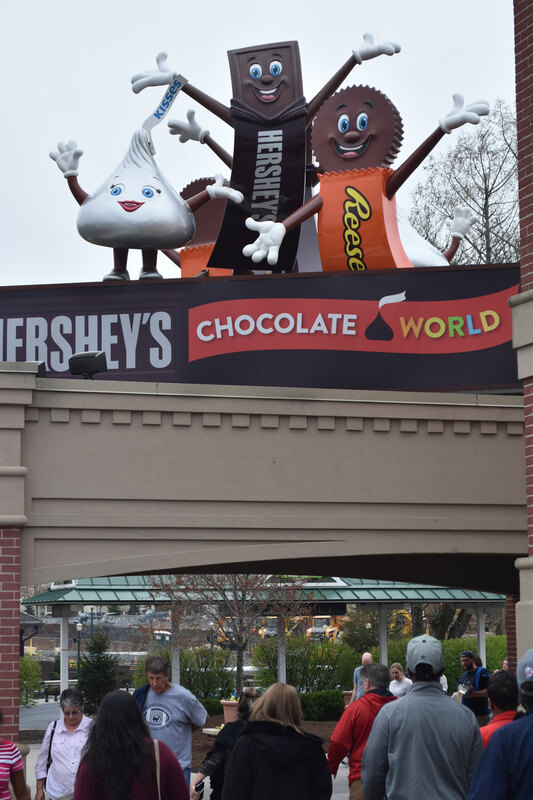 The line weaves through a timeline of Hershey company history and past signs of how the company sources its ingredients. 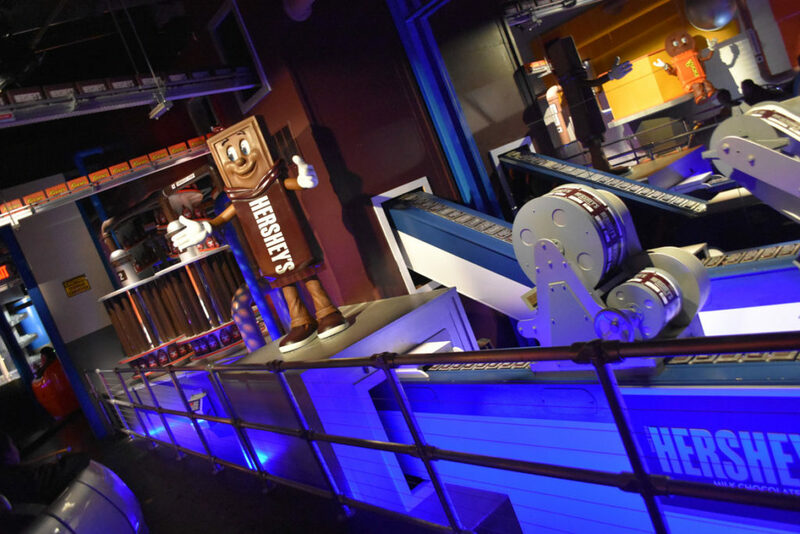 Then you board carriages shaped something like Hershey candies for a journey into the chocolate-making process. 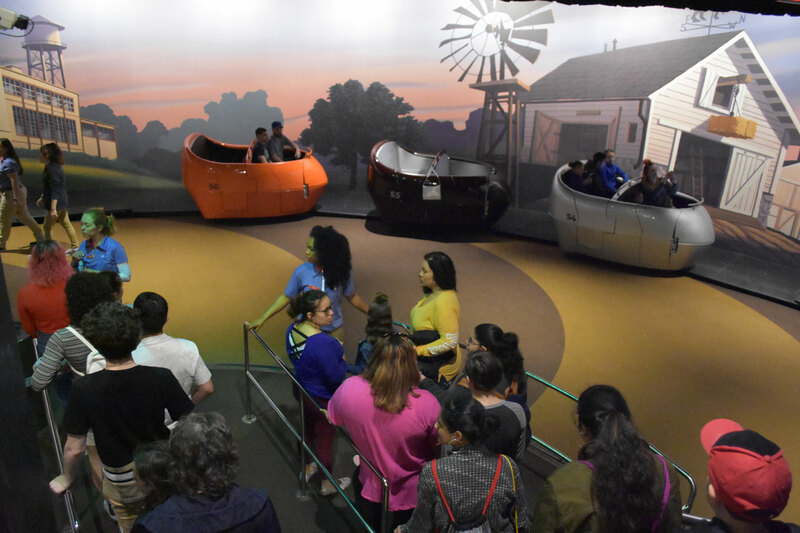 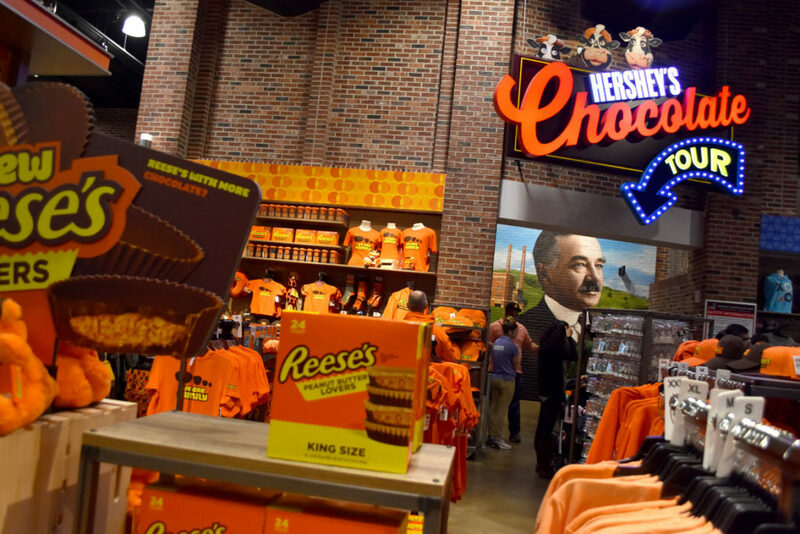 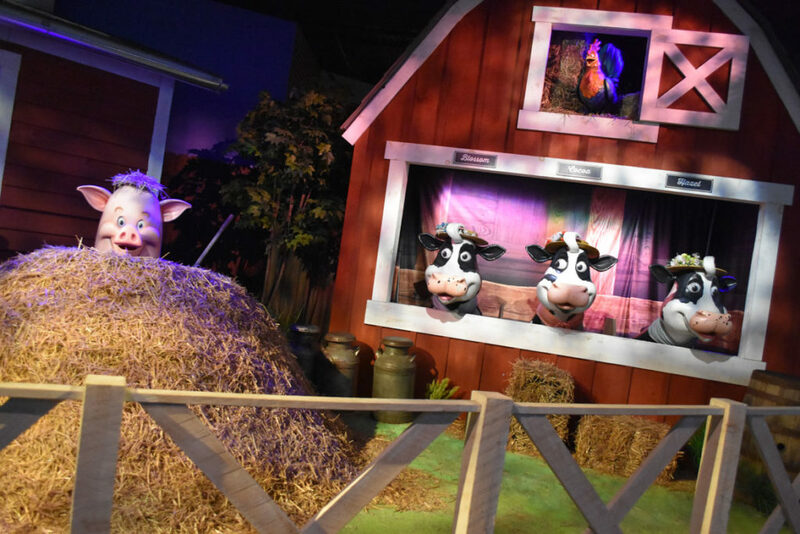 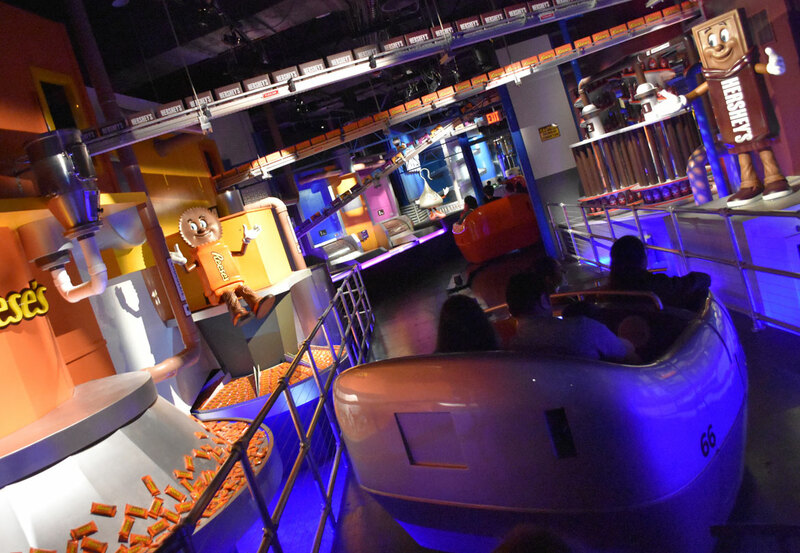 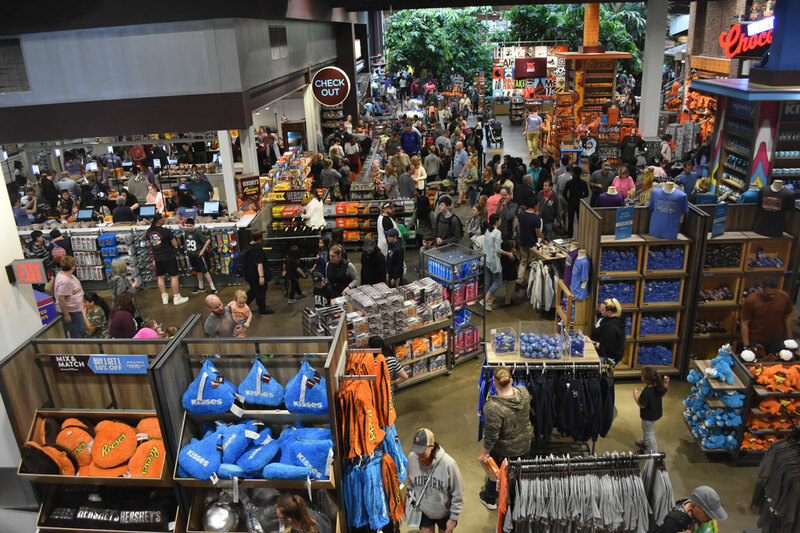 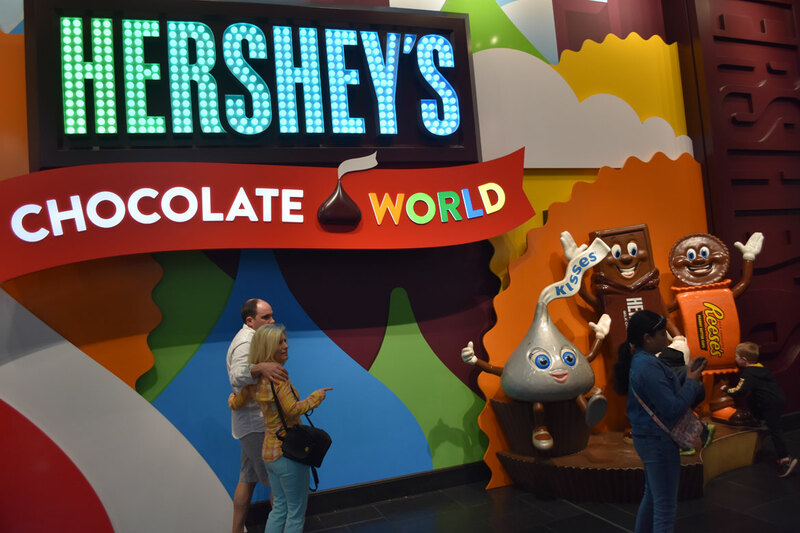 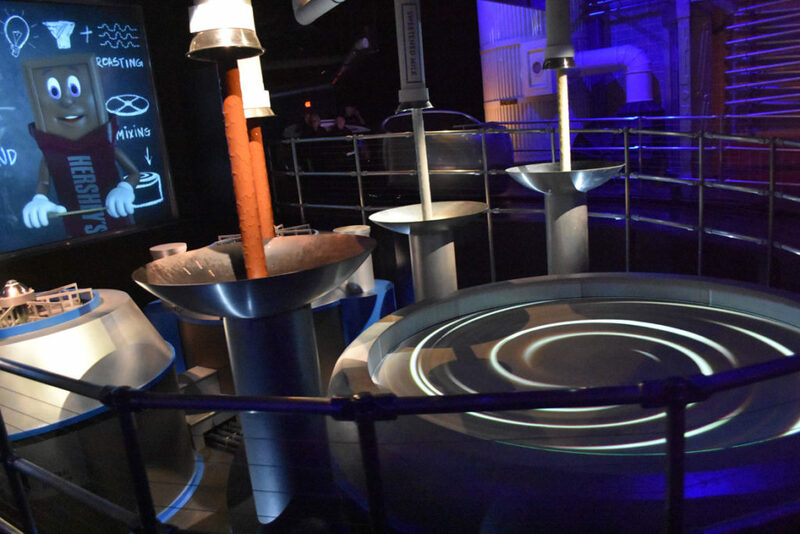 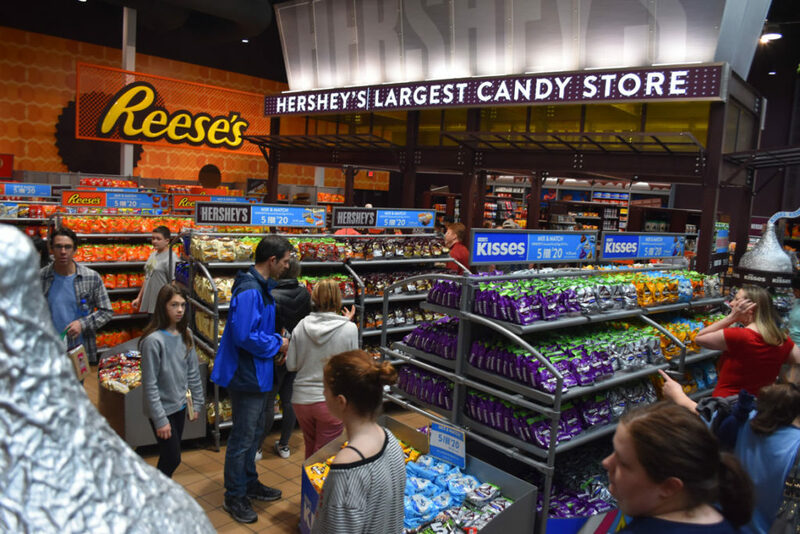 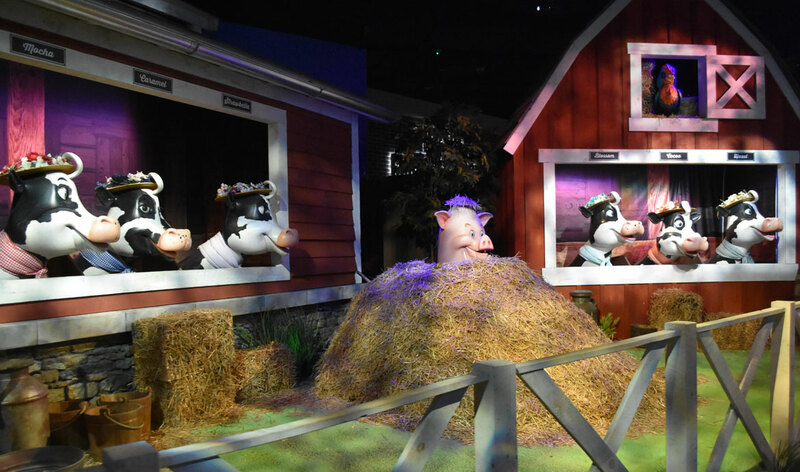 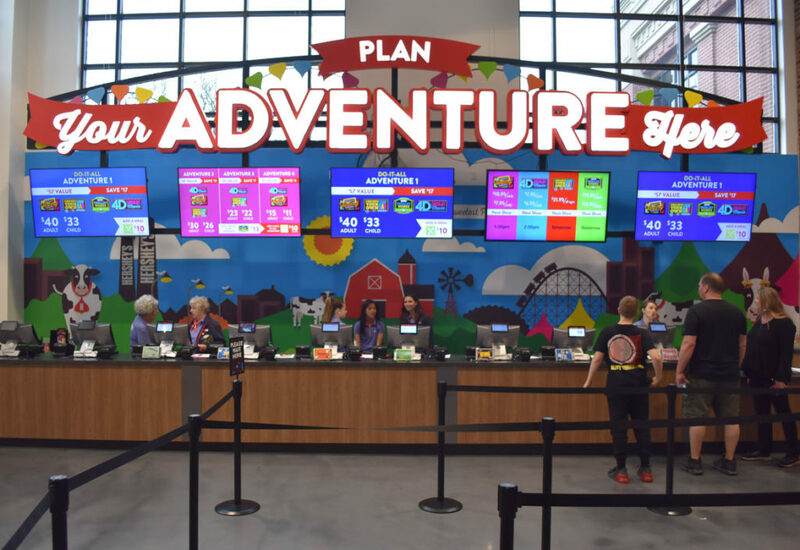 If you hanker for more, Chocolate World also offers paid attractions: “Create Your Own Chocolate Bar,” “4D Chocolate Movie,” “Chocolate Tasting Experience.” The heart of Chocolate World, though, is a giant store selling a dazzling array of Hershey candies, clothing and souvenirs.